In this week’s Sierra Club Insider, it was stated that the family vacation is disappearing from American culture. Kids — and adults — these days are “videophiliacs” who prefer their nature through the TV screen rather than personally experienced, says a new study. It estimates that Americans’ participation in outdoor recreation has dropped as much as 25 percent over the past 20 years. What’s a green family to do? Beyond offsetting your typical trip to Disneyland, there are now many eco travel tours and trips for families. Of course you don’t have to join a tour to take a memorable eco trip with your family. Camping and backpacking provide wonderful opportunities for families to experience nature; however, a well-designed eco trip will allow you to meet other families and take some of the responsibility off of your shoulders. World Family Yoga offers trips to beautiful eco-retreat locations in the rainforest and Europe. Our family yoga retreats allow parents a rejuvenating and uplifting Anusara Yoga practice accessible to all levels of experience, while the children join together for a playful and insightful yoga session with their new friends. Nature and cultural studies are also included for children. The Sierra Club offers family trips for children as young as one. “We welcome single parents, grandparents, aunts, and uncles in addition to two-parent families.” They have a special trip planned for grandparents and grandkids to Tahoe National Forest in August. Other current trips include Maui, Bryce Canyon, the Great Smoky Mountains, and the Lower Salmon River Family Raft Adventure. Whether you take a guided eco-trip or one of your design, don’t forget to include a visit to nature in your next family vacation. You are sowing the seeds of environmental stewardship in your children, bonding as a family, and creating memorable experiences in nature. I can’t remember specific events from my family’s vacations to Disney Parks, but I certainly remember childhood hikes and cave explorations in the Hocking Hills! It also might be worth while to check out http://www.greenhour.org for your children’s references! I just realized that I think I don’t have enough time for my pet cats and to grow a garden. Meanwhile, I have a virtual garden and pet on facebook. !!! How gross! Those virtual fake hobbies take way less time, but still! Read Last child in the woods. 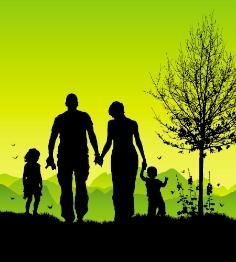 http://www.activekidsclub.com for solutions and why is important for children to be outside.